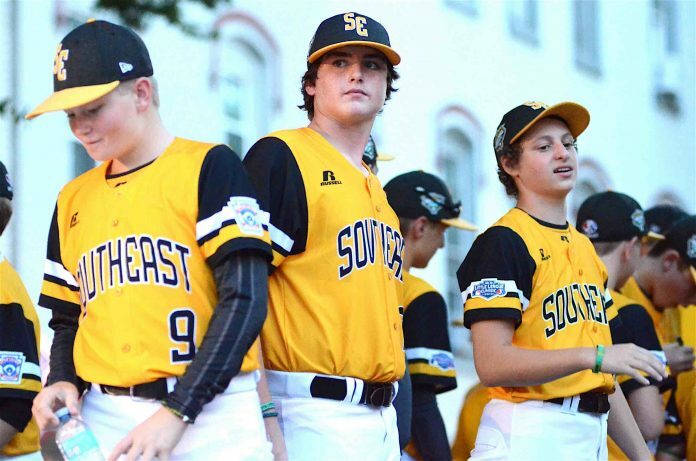 In photo above, Peachtree City’s Frank Chase, Jansen Kenty, and Cayden Olvey stand on the team’s float during the Grand Slam Parade in downtown Williamsport. Photo/Brett R. Crossley. 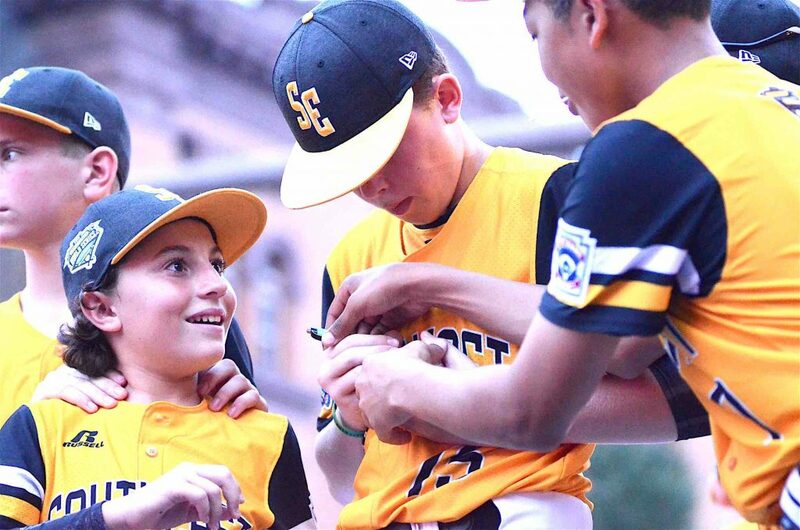 In photo below, Peachtree City’s Charlie Clem, Soper Riggs, and Tai Peete sign a ball before throwing it the crowd during the Grand Slam Parade in downtown Williamsport. Photo/Brett R. Crossley. 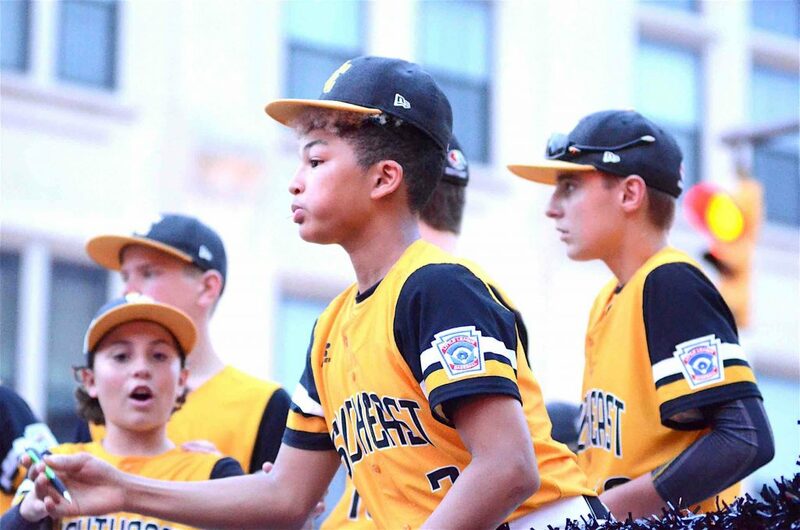 In photo at bottom, Peachtree City’s Tai Peete throws a pen back to a fan after signing a ball during the Grand Slam Parade in downtown Williamsport. Photo/Brett R. Crossley.